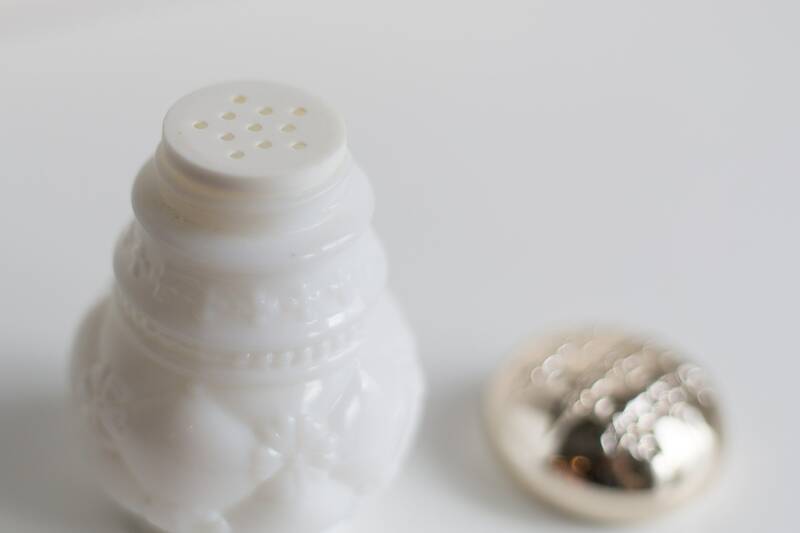 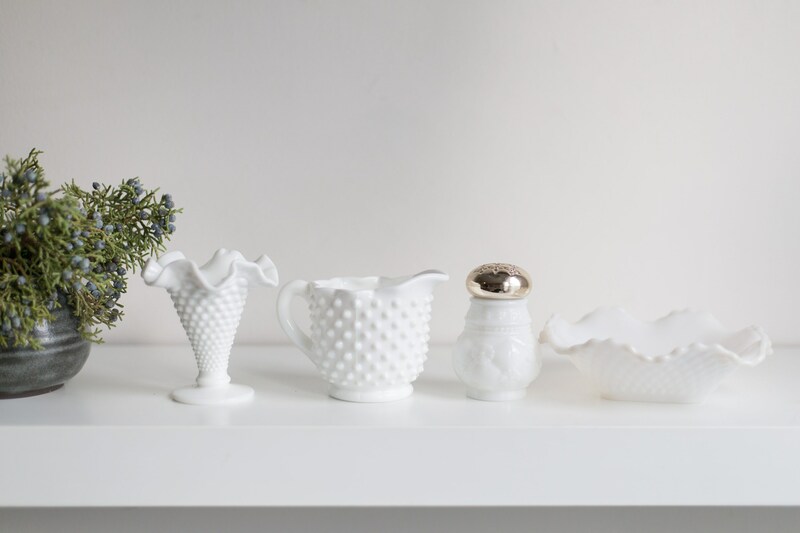 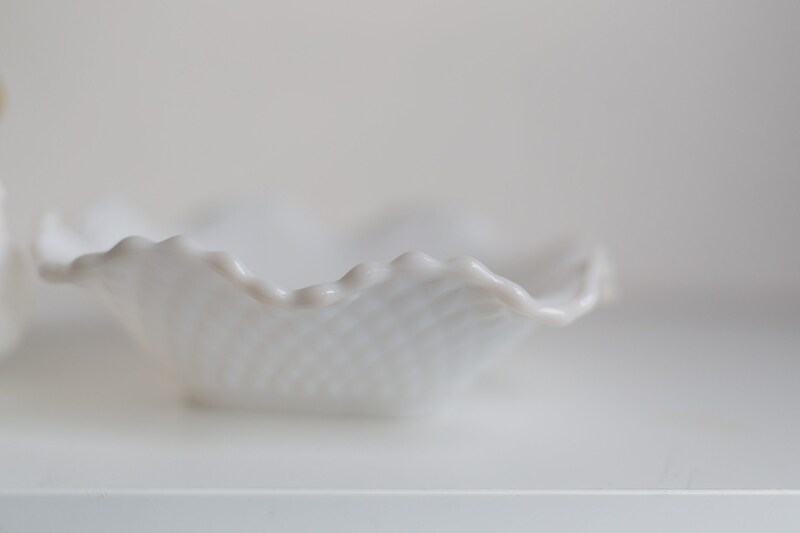 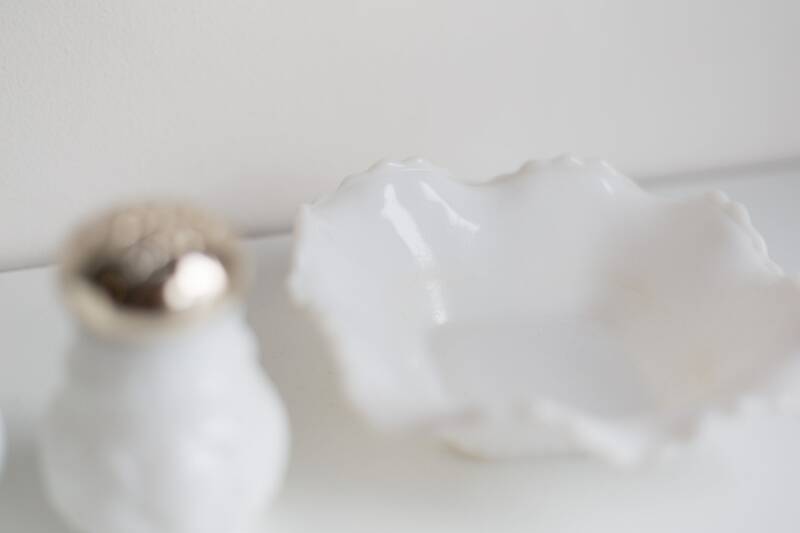 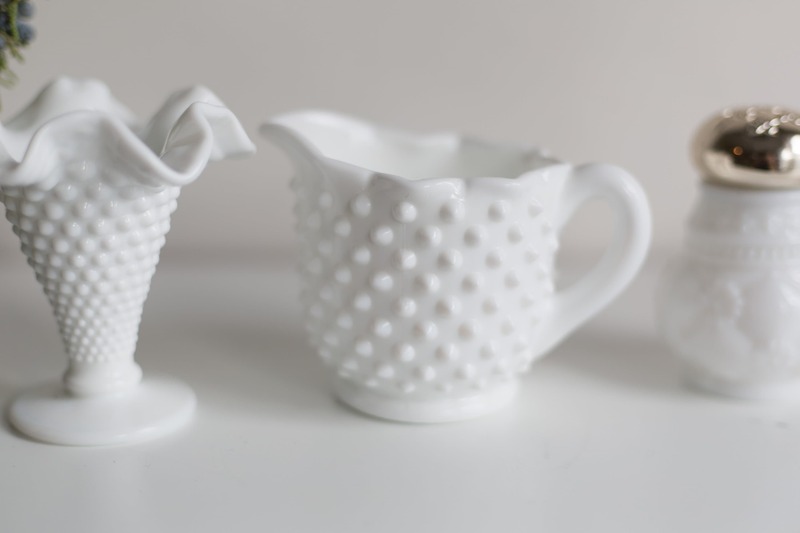 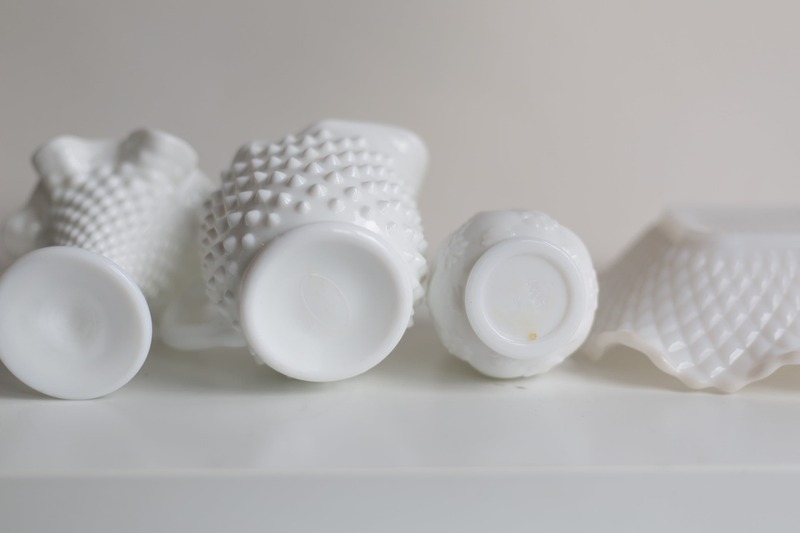 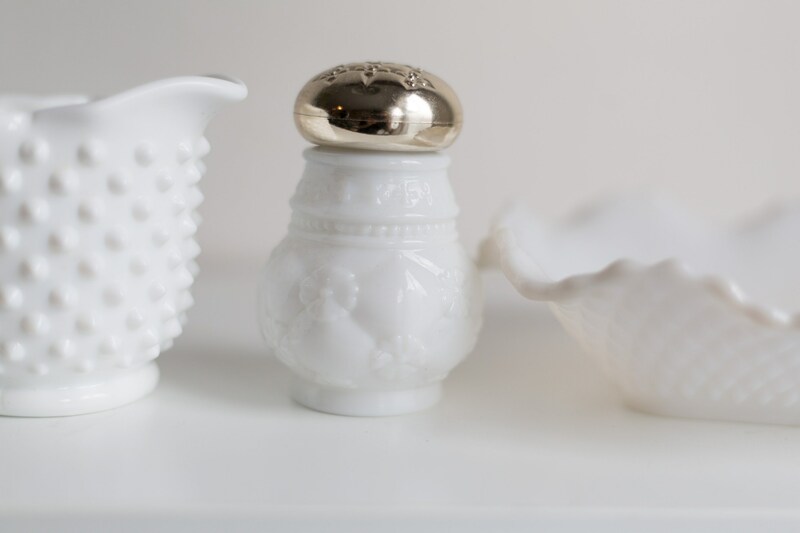 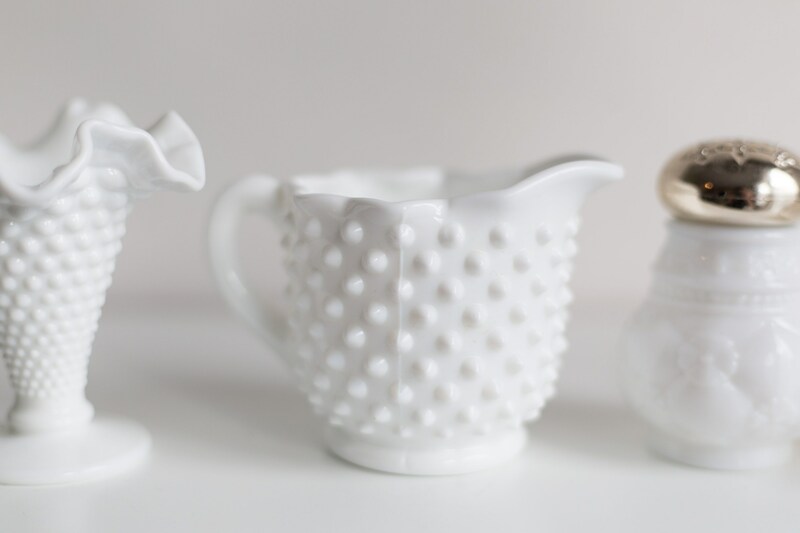 This vintage milk glass set includes a vase, creamer, sugar shaker, and small dish. 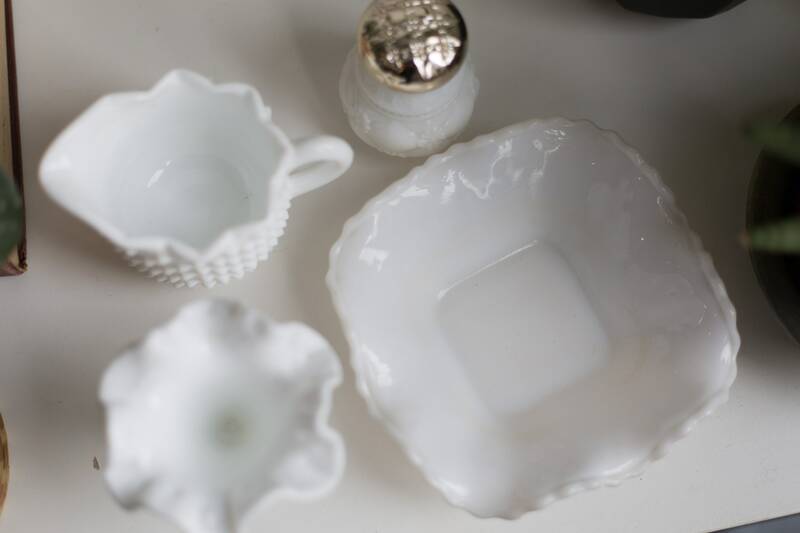 Listing price is for all 4 pieces. 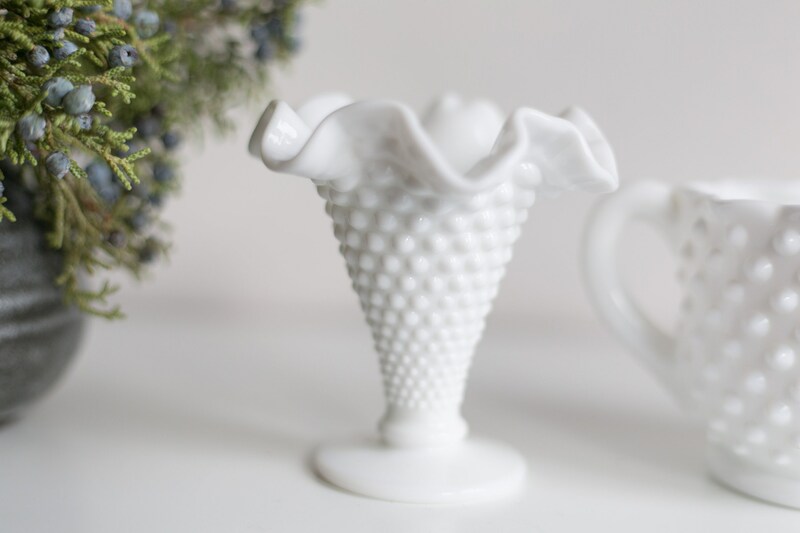 Hobnail vase 4 inches height.